Heavy Relic Finish. 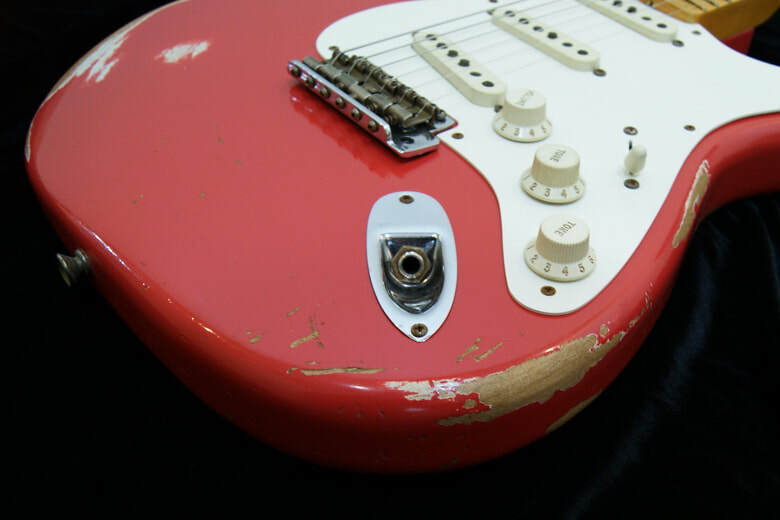 All Original Detailing, Built From Original Tooling. 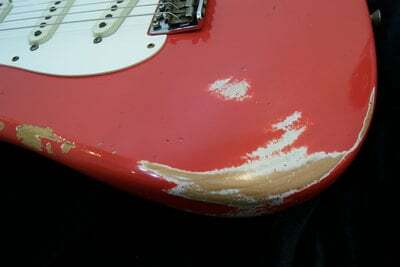 Shows Natural Wear and Tear of Years of Heavy Use, Nicks, Scratches, Worn Finish Rusty Hardware and Aged Plastic Parts. 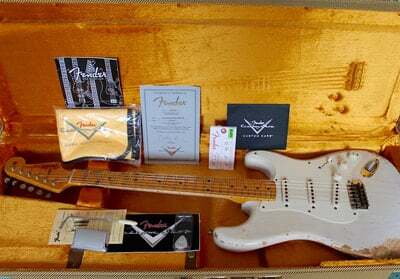 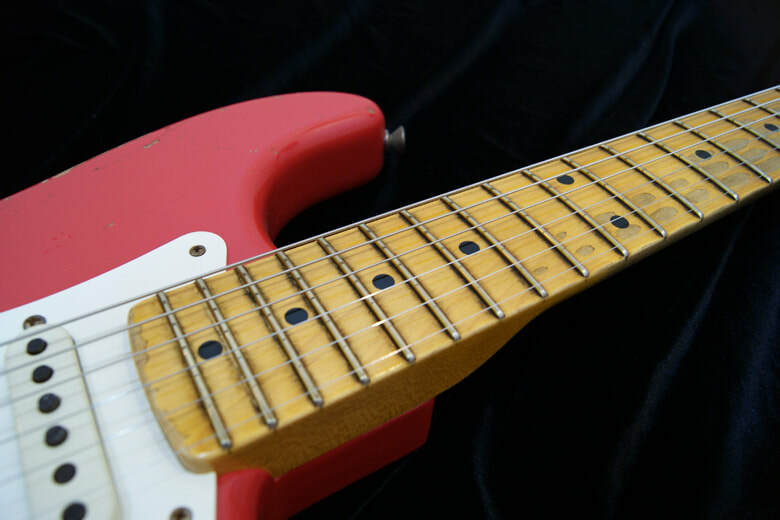 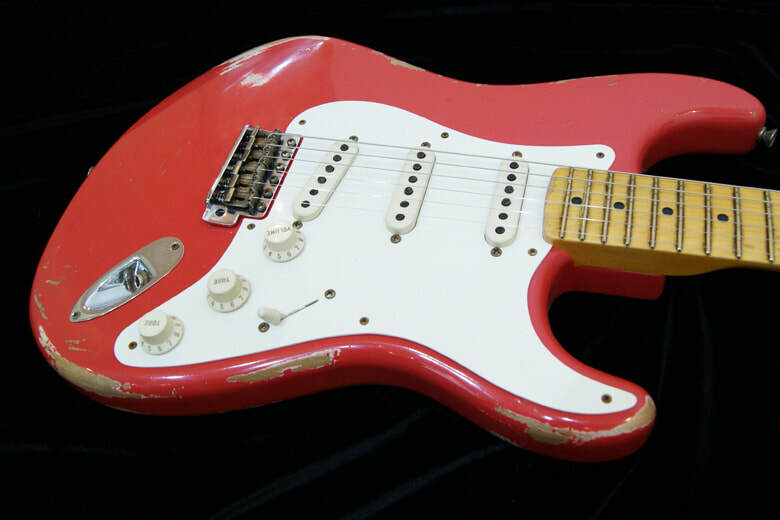 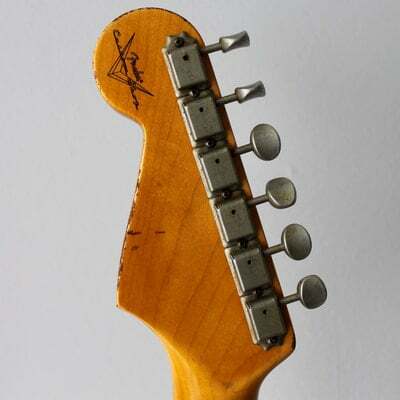 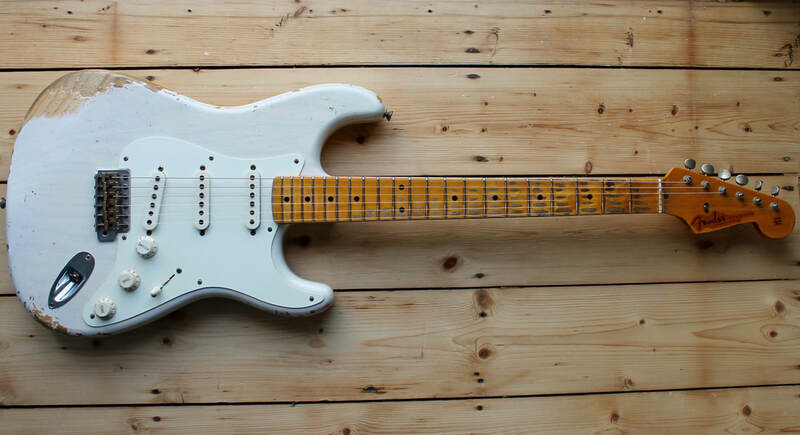 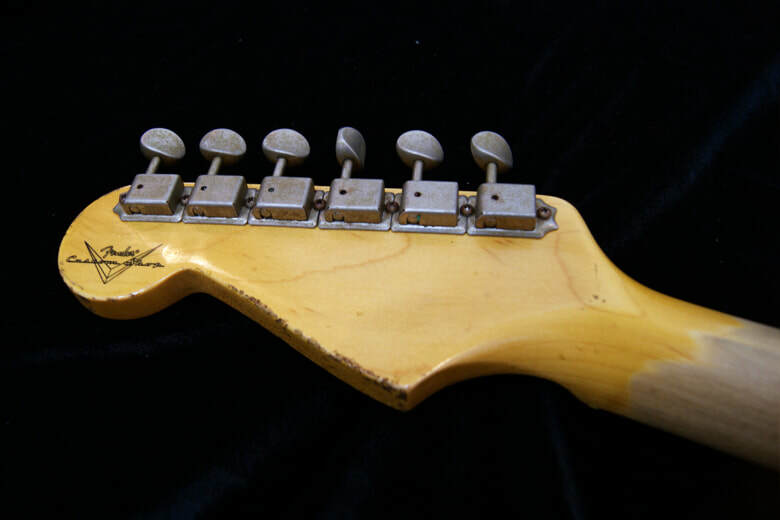 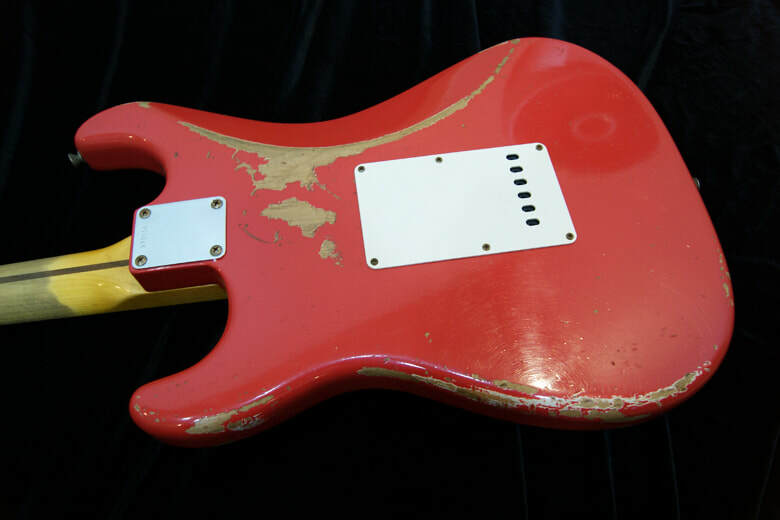 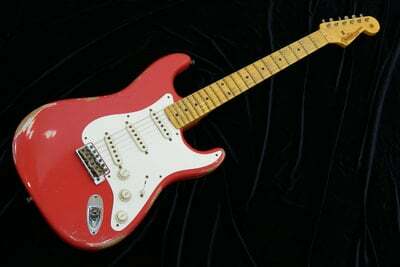 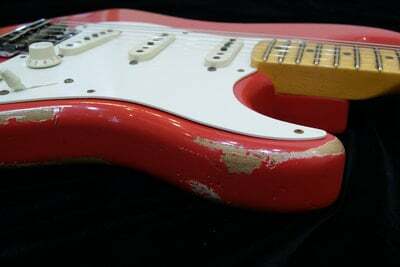 Few guitars are as inspiring as a beat-up original-era Strat. 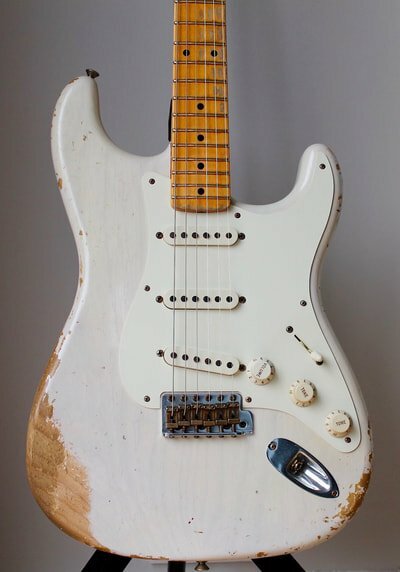 There's just nothing like it. 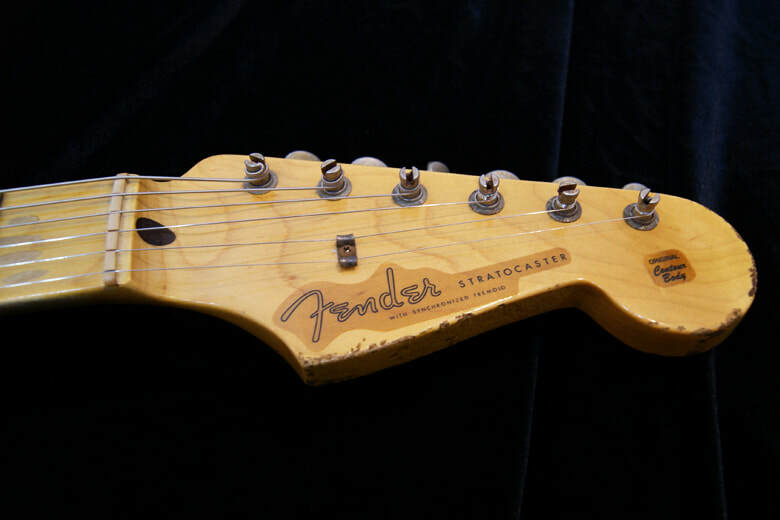 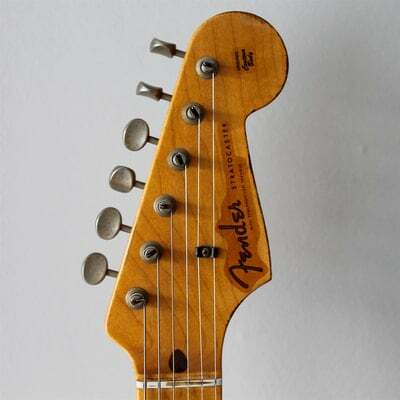 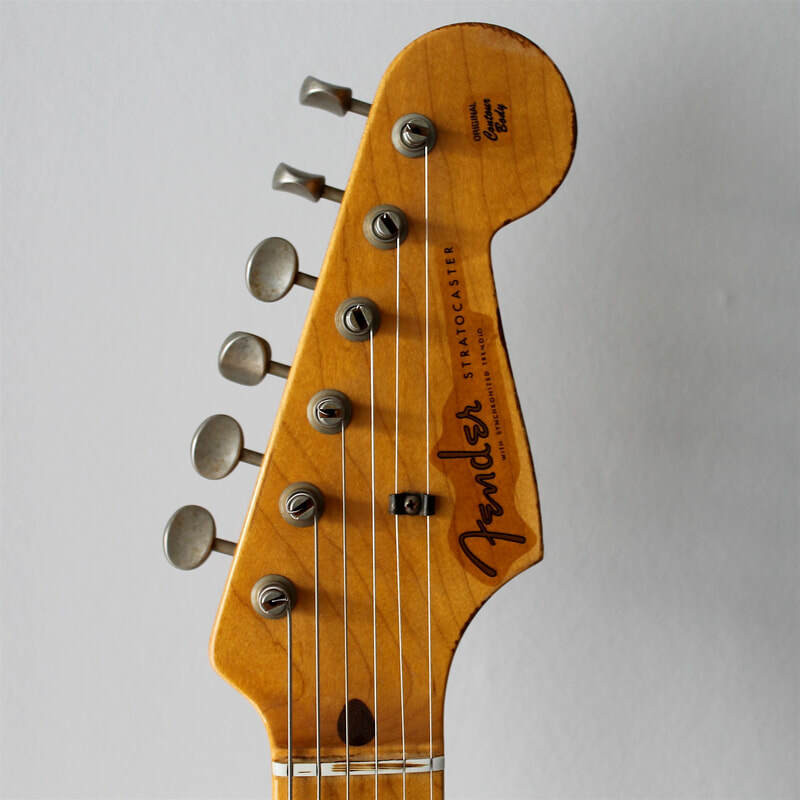 The Fender Custom Shop wanted to create a Stratocaster that would look, sound and play like a real workhorse; a truly battle-hardened beauty that had survived a lifetime of beer brawls and all-nighters. The result is this gorgeously worn 1956 model, built with power and action that perfectly match its battered heavy-relic look. 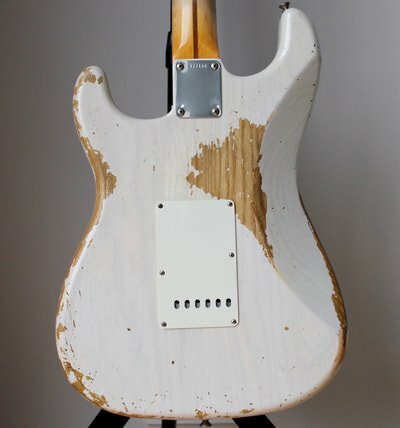 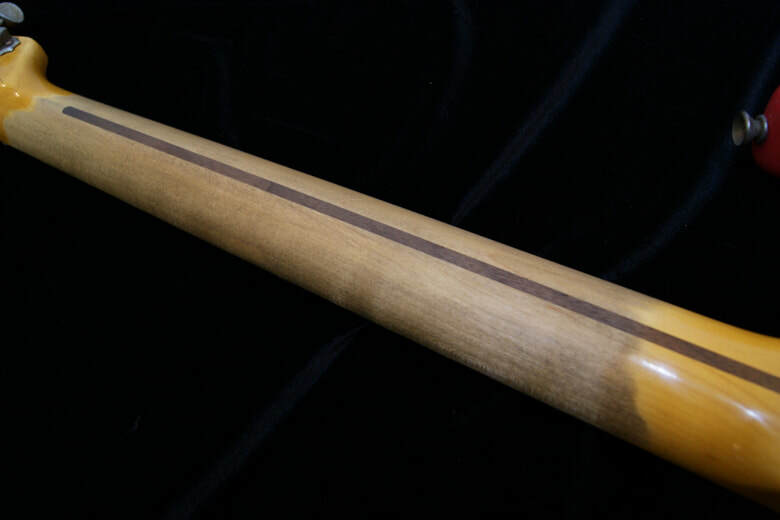 It is a guitar that is built for the player to lean into like nobodys business, with features including one of our favorite neck shape V-shaped 10/56 profile plus a 9.5-radius fingerboard for easier string bending, 21 6105 frets, and Master designed pickups with a reverse-wound/reverse-polarity middle pickup that produces humbucking in-between sounds.